« Eric Meyer… Simple Shoes… and how much of history is wrong? Look carefully at this wrought iron. Move around the window view bars if you can’t see the whole image. It is a small very small fence on a building in Carmel by the Sea, CA. Awesome work. Such amazing detail at the top…each little dragon head different than the next. It is inspiring to think that somebody cared enough to build this grate … that 80 years later still really makes a huge impact. 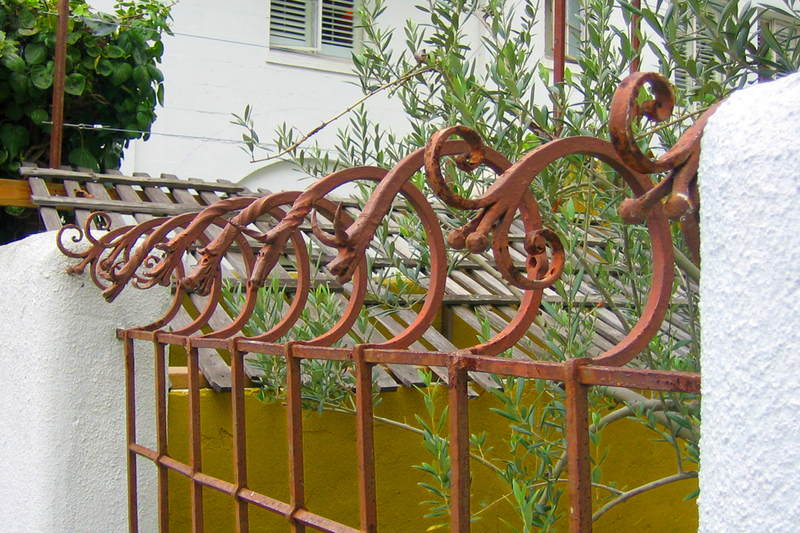 A simple iron fence that makes you smile. A friend of mine in joseph does this kind of work. Will send pix this summer. When you guys gonna visit up there anyway?